HCF is a provider of pet insurance, health insurance, travel insurance, and total and life insurance. The table below displays a snapshot of pet insurance policies with accident and illness cover on Canstar’s database with links to HCF’s websites, sorted by Star Rating (highest to lowest). These results are based on cover for a one-year-old medium dog breed. What types of pet insurance does HCF offer? HCF offers three types of pet insurance: ‘Pet Essential’ Accident Only cover, ‘Pet Premium’ Accident and Illness cover, and ‘Pet Premium’ Accident, Illness & Routine Care cover. What breed of pets does HCF pet insurance cover? The HCF pet insurance policy only covers domestic cats and dogs. However, if your cat or dog is unlawfully kept (for example, security dogs or racing greyhounds) it will not provide cover. How do you take out pet insurance from HCF? You can purchase a HCF pet insurance policy either online, or over the phone by calling call HCF on 13 13 34. What is not covered by HCF pet insurance? HCF expressly lists some illnesses and injuries as exclusions that are not covered by its pet insurance. Pre-existing conditions – If your furry friend has suffered or undergone treatment for a particular condition, and you decide to switch pet insurance providers, it may not be covered under your new policy. Always declare pre-existing conditions when first making an application. 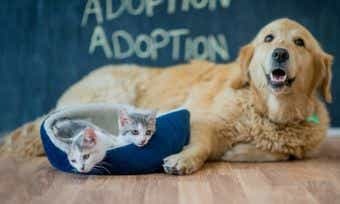 Day-to-day care – HCF won’t cover the regular day-to-day expenses of owning a pet, which can include: regular or dietary pet food, vaccinations, micro chipping, flea/worm/tick control, shampoo, collars/leads and dog beds, etc. Breeding – If you have bought dogs or cats with the specific purpose of breeding them, HCF won’t cover any injuries or conditions that arise as a result. Dental care – This can include dental procedures, gingivitis, and treatment of diseases or fractures, teeth cleaning or teeth removal. Failure to take care – HCF won’t cover any treatment of conditions caused either deliberately or negligently, by you towards your pet. A few examples of this include leaving the gate open, forgetting to feed your pet, the ingestion of hazardous substances and an unsafe living area. It’s important to read the Product Disclosure Statement (PDS) to find any exclusions listed in a policy and to also consider what illnesses your pet may need coverage for. For more information about what’s not covered by some pet insurance policies, check out our list of 13 common pet insurance exclusions. What is the age limit for pets covered by HCF pet insurance? HCF actually has no age limit for its ‘Pet Essential’ Basic Cover option. Its Standard or Comprehensive Cover options specify dogs and cats between eight weeks and nine years old. You can find more details about this in the Product Disclosure Statement. Do I have to provide medical records to take out HCF pet insurance? No, it isn’t necessary to submit medical or veterinary records to take out HCF pet insurance; however, you may be asked a few questions upon application. These are usually to determine any pre-existing conditions your pet may have, and whether they will be covered under your policy. Does HCF give me the option to visit my vet of choice? Yes, HCF allows you to use any veterinarian that you prefer, provided they are licensed to legally practise in Australia. Does HCF place an annual benefit limit on pet insurance claims? Yes, it does. The ‘Pet Essential’ Basic Cover has an annual benefit limit of $8,000. The ‘Pet Premium’ Standard Cover has an annual benefit limit of $12,000, and the ‘Pet Premium’ Comprehensive Cover has an annual benefit limit of $12,145. The annual benefit limit and claim terms and conditions for HCF’s pet insurance is outlined in the Product Disclosure Statement. Find out more about pet insurance benefit limits and how much you can claim here. What percentage of vet fees are reimbursed by HCF? All HCF pet insurance policies allow you to receive a reimbursement of 80% of your vet costs. The reimbursement you receive, and premiums you pay will depend on the age of your pet and your level of cover. How do you lodge a claim with HCF? You can lodge a claim with HCF by completing and submitting a pet insurance claim form, which can be found online. 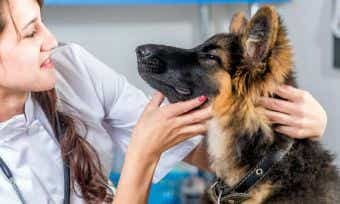 You must submit the claim within 90 days of the appointment or when the treatment was received and make sure you bring the claim form to the appointment with you as the vet has to fill out a section and sign it. How do you renew your pet insurance with HCF? Your HCF pet insurance policy will automatically renew if you choose not to alter or cancel it after receiving your renewal notice. 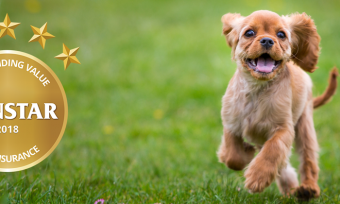 If you’re not sure whether to renew or switch, here’s our guide to renewing your pet insurance policy. Established in 1932, HCF is a non-for-profit health fund committed to re-investing premiums back into products and services that benefit its members. HCF won the coveted Canstar Award for Outstanding Value Health Insurance in 2016, 2014, 2013, 2012, 2011, 2010 and 2009. Free heart checks:The Victor Chang Cardiac Research Institute performs free heart checks at HCF branches across Australia. HCF Dental Centres:Available across Australia, even in regional areas. HCF Eye Care Centres:Available across Australia. At home care:10% discount on in-home care services in metropolitan Sydney. Gym:10% discount on selected Fitness First gym memberships. GP2U:15% discount on GP2U online consultations with a GP. Mobile apps to help your health:My Health Guardian app (online health and wellbeing program), Eyecare app (screening tools to help you assess your vision), Health Agenda app (information to inspire healthier life choices), Quit Smoking app, Get Fitter app, Be Happier app (improve mental and emotional wellbeing). Pet insurance:10% discount on HCF pet insurance at the time of writing. Travel insurance:10% discount on HCF travel insurance at the time of writing. The HCF Research Foundation, founded in 2000, supports the community by striving for constant improvement of health services across Australia. HCF also supports the National Breast Cancer Foundation and Victor Chang Cardiac Research Institute. HCF is also committed to the environmental sustainability of its activities through its health fund, Dental Centres and Eye Care Centres. This includes managing waste disposal carefully, minimising water and energy consumption, and more measures. To see HCF’s most recent ad campaign, visit its YouTube channel.